Peter T. Podlas comes from a very rich history of family tradition in the construction of residential homes. The actual Polish translation of the word "Podlas" means "under wood" in English. Here is a look at the Podlas family for the past three generations. The Podlas family originated in Poland, and immigrated to the United States. There they settled in New Jersey. Peter's grandfather, Francizek (Frank) Podlas with a limited education attended night school and completed a three year study in cabinetmaking. Upon graduation, Frank entered the construction trade. At 28, Frank, along with his wife and two children, moved to the east end of Long Island and there they settled in Riverhead, New York. The company Frank Podlas Contractor/Builder was formed in the year 1931. Frank's brother John, with his co-workers. You were allowed two 15 minute breaks each day and 30 minutes for lunch. You brought a large thermos for coffee as there was no going to the deli for a cup of coffee. 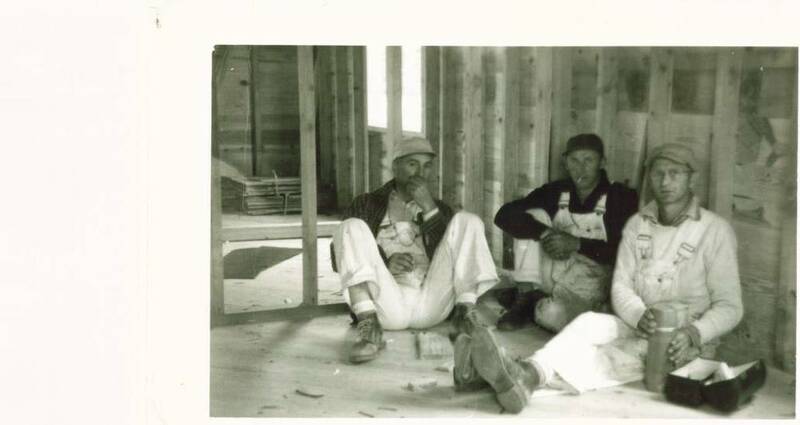 In the year 1956, Frank's only son Paul Podlas joined the company, changing the name from Frank P. Podlas Contractor/Builder to Frank Podlas and Son. Franks first truck. Notice the carpenter overalls. These overalls had four pouches for various nails, loops for tools such as your hammer, ruler, square etc.. This working relationship lasted one year when Paul formed his own building company, Paul Podlas Building Contractor. Both companies served the local east end communities with fine quality custom building for many years. Medical problems forced Frank into early retirement in the year 1965. 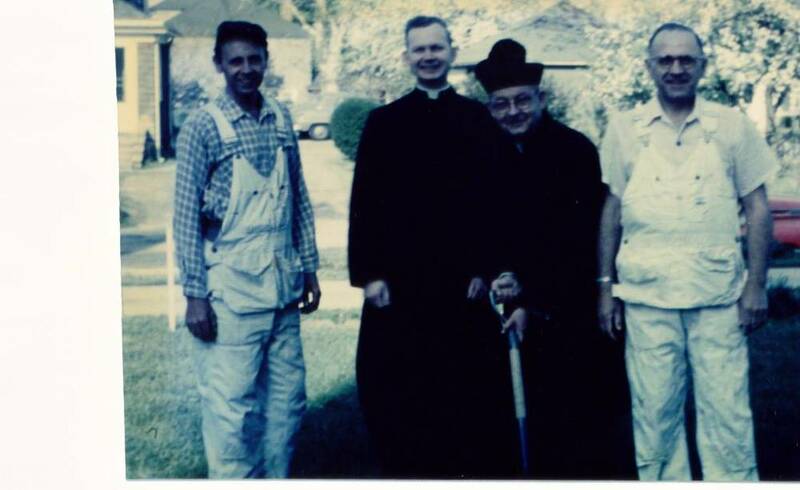 Paul Podlas, two local priests from St. Isidores Church, Riverhead, NY and Frank Podlas at the groundbreaking for the St. Isidore rectory. Paul continued in the construction trade and was joined by his son Richard Podlas in the year 1975. The company name was then changed to Podlas Construction, Inc. Afterwards Richard left the family business in 1990 and he is now employed as a building inspector. My older brother, Richard Podlas standing next to my fathers first 4 wheel drive truck. Paul's second son Peter Podlas, worked in the family business every summer along with his younger brother, Steven Podlas, who was a CPA. Peter decided to pursue a profession in architecture. Peter Podlas, Architect, PC was formed in the year 1985.